Highlight: ​EBS annual dinner 2017 brought together all devoted staff this year. 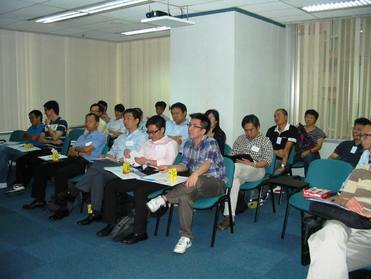 The event was highlighted by a series of game and the long-awaited lucky draws. The night got on its participatory swing as most of our energetic colleagues teamed up and proven their talents by taking over the stage. 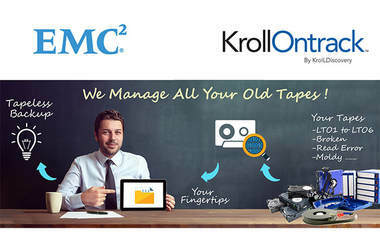 Highlight: With Data Domain backup solutions entering the market, it's safe to say that the tapeless environment imagined years ago has arrived. 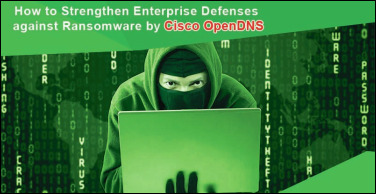 Examine the modern day options for enterprise backup. 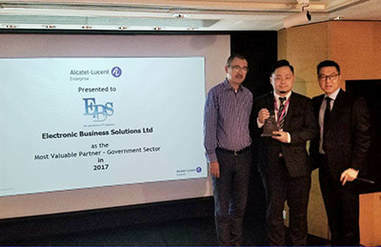 Highlight: EBS has been awarded the “ Alcatel-Lucent Enterprise - Most Valuable Partner - Government Sector” for the year of 2017. Highlight: Cisco Meraki: cloud-based architecture designed from the ground up with data protection, privacy, and security to keep networks secured. 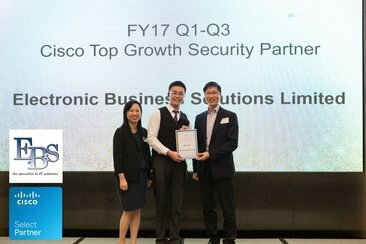 Highlight: EBS has been awarded the “Cisco Top Growth Security Partner - Winner” for the year of 2017 Q1-Q3. 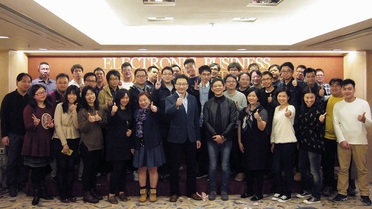 Highlight: ​EBS 2016 Annual Dinner was held to thank EBS staff for their devotion and fidelity to the company over 2016. 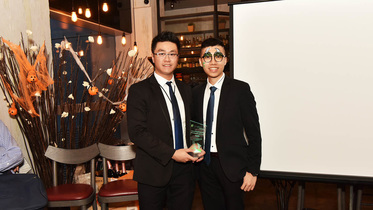 Congratulations to Mr. Alex Wong and Mr. Alex Yu of receiving “5-year long service award”. Highlight: ​Cisco Security Connect 2017 offers the best-in-class opportunities to gain insight from Cisco’s leadership and industry thought leaders, which helps us understand how global trends and today’s big ideas fit in your environment. 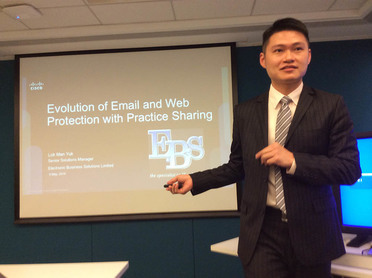 Highlight: ​We are glad to have our guest speaker from Sophos to share his insights on protecting our data and business against advanced cyber threats today. 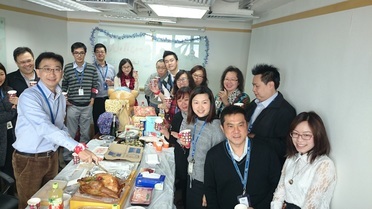 Highlight: ​To share the festive joy and Christmas blessings within the company, EBS Christmas party with a variety of delicacies was prepared for our staff. 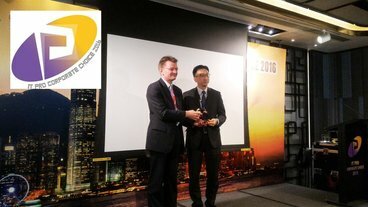 Highlight: ​EBS and Stratus won the IT PRO Corporate Choice 2016 Award from IT Pro Magazine by the awarded solution - Stratus fault-tolerant servers. Highlight: ​As the Gold Partner of Stratus, EBS is honored to cooperate with the partner which is globally renowned for its ultra-high availability technology, bringing the American mystery thriller film - “Inferno“ to our loyal customers. Highlight: ​EBS has been awarded the “Best Performing Partner – Upsell / Cross-sell” for the year of 2016 by ForcePoint. Highlight: Topics cover security solutions and processes that have evolved to accommodate the new demand of digital business today and how multi-layer security in digitalization protects organizations. 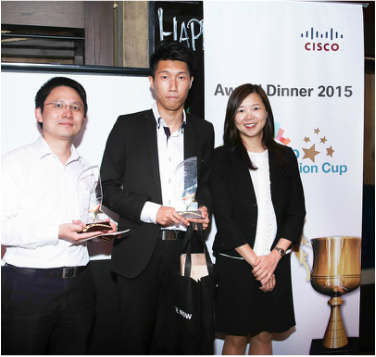 Highlight: ​Congratulations to Mr. Horriz Lai (Senior Account Manger) and Mr. Eddie Chu (Technical Solution Manager) for winning the FY16 Cisco Champion Cup - Security 2016. 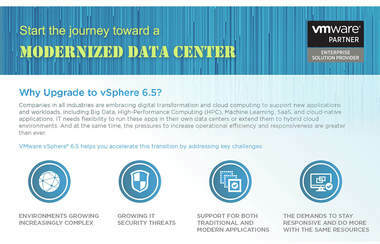 Highlight: Insights on how to establish an automated, dynamic infrastructure that adapts business demands with VCE VxRail Appliance. Highlight: Introducing IBM Verse as well as sharing advanced technologies of Citrix Mobile Workspace and eG MDM monitoring solutions. 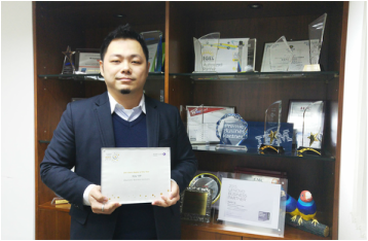 Highlight: ​Congratulations to Mr. Kay Yip (Sales Manger) for winning the Alcatel-Lucent Enterprise Greater China - Best Rookie of the Year​ Award. Highlight: The night guided all of our staff to look back to the effort we paid as well as the joy we shared over 2015. 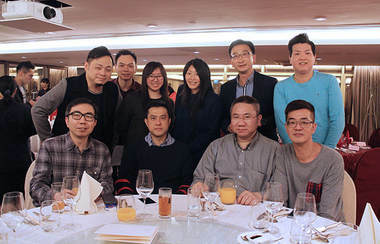 The enjoyment in a series of games and lucky draws injected us motivation for the coming year. 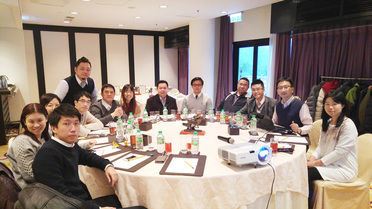 Highlight: The meeting was a great opportunity for our teammates to share their successful cases and experience within the team. 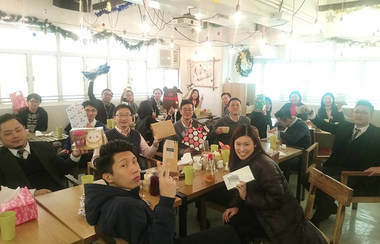 Highlight: After a series of exciting story sharing by EBS colleagues and exchanging of Christmas gifts, the final lucky draw have brought the joyful atmosphere to the highest. The party was filled with harmonious laughter. Highlight: To show our gratitude for the continuous support from our partners and customers, EBS is honored to bring the long-expected episode of the epic Star Wars movie series - “3D Star Wars: The Force Awakens” to our guests. Highlight: Through smashing into each other, bouncing and bumping around in a giant inflatable plastic ball, EBS’s team dynamics are explored in this team-building exercise. 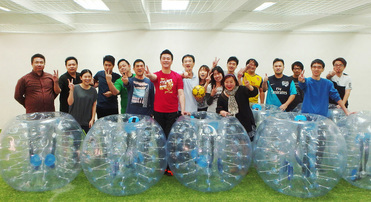 All of our staffs were fully enjoyed and re-energized from this fun and stress-free activity. 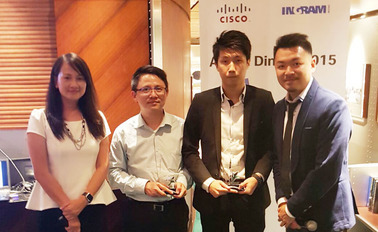 Highlight: ​Congratulations to Mr. Horriz Lai(Account Manger) and Mr. Eddie Chu(System Support Manager) for winning the FY15Q2 & Q3 Cisco Champion Cup-Security 2015. 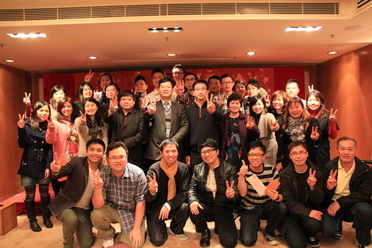 Highlight: ​​It was a remarkable night to reward our staffs. Gifts and prizes were all given out. 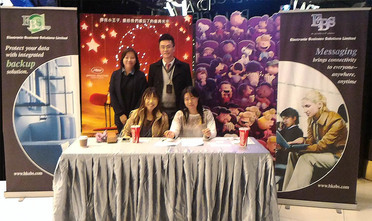 Our staffs were happy and fully enjoyed the night. Highlight: ​​A yearly event with traditional turkey, games, prizes. It was an enjoyable moment to celebrate the festival and share our happiness together. 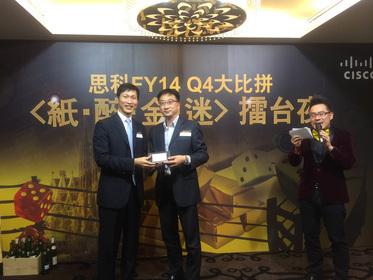 Highlight: ​​Congratulations to Mr. Alex Wong (Sales Manger) for winning the EMC best selling award 2014. 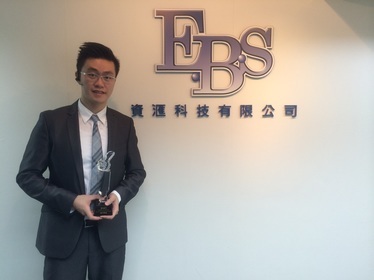 Highlight: ​​EBS was awarded the Highest Growth Award 2014 by Cisco, as one of the fastest growing partners in 2014. 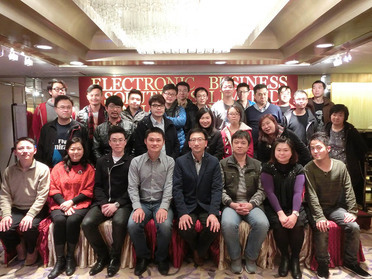 Highlight: A security seminar jointly organized by Cisco and EBS, introducing Cisco Ironport and SourceFire to customers. 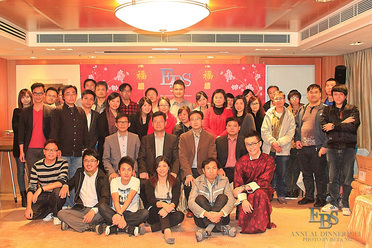 Highlight: Annual Dinner of EBS was sucessfully held at Regal Kowloon Hotel. 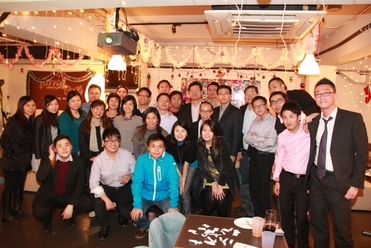 It was a joyful night which rewards our staff working hard for the past year. it is also a valuable opportunity to show the integrety and unity of EBS. 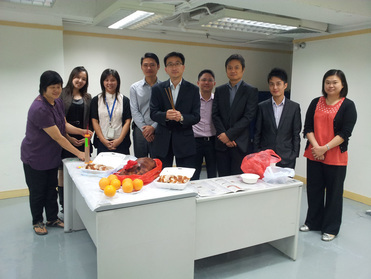 Highlight: Christmas party was held in EBS office for this festive day. 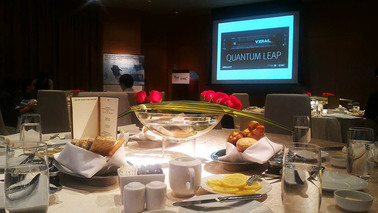 Highlight: ​The dinner began with an opening speech then reward best-performing staff over the last year. Finally ended with lucky draw, game, etc. 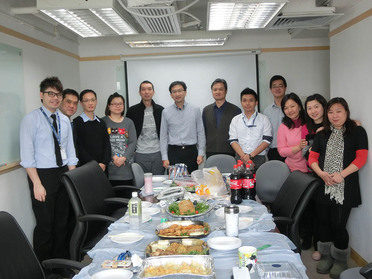 Highlight: Our X'mas Party was held in our office. 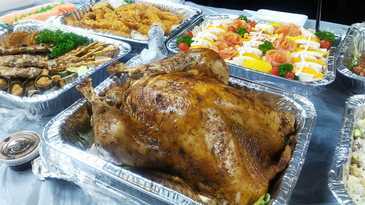 It a great time for everyone to get together for some good times, good food and great bonding. 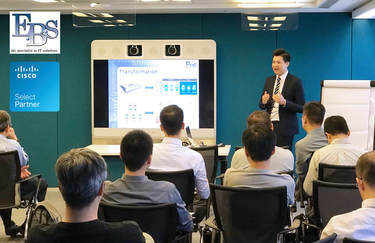 Highlight: In order to cope with our growing demand for the future, old warehouse in Kwai Chung was closed and move to our headquarter in Kwun Tong. 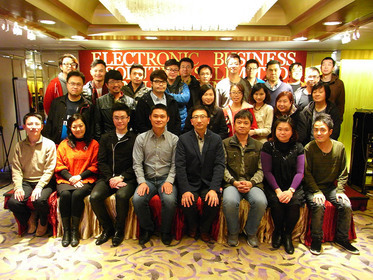 Highlight: The EBS annual dinner took place at the The Royal Garden in Tsim Sha Tsui. 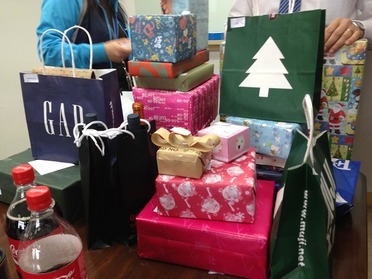 It was a huge success and it is an opportunity to entertain guests and reward best-performing staff over the last year. 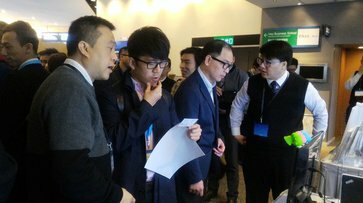 Highlight: Johnny Wong, Technical Manager of Sophos spoke about the mobile device management solution and the trend of mobile security. 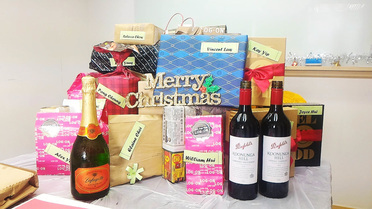 Highlight: The Christmas party was great and our staffs having fun with lots of presents to celebrate the festival.